The last Premier League match of Gameweek 4 is the top 4 clash between Watford and Spurs that kicks-off at 4pm at Vicarage Road on Sunday the 2nd of September. We've listed British Bookmakers best odds for Watford v Spurs below, a preview of the match, and the betting offers and price boosts to claim if you're going to be betting on the game. Check out the best odds that bookmakers offer for a Watford win (H), a win for Spurs (A), or a draw (D) below. Use the ALL ODDS tab to view more bookmakers odds. NB: Bookmakers best odds for Watford v Spurs correct at the time this match preview went live and are subject to change. Last updated: 10:29 on 01/09/2018. As well as bookmakers best odds, there's the betting offers and price boosts below that can be used betting on the last Premier League match of Gameweek 4 between Watford and Spurs. Watford v Spurs will be broadcast live on SkySports at 4pm on Sunday September 2nd. 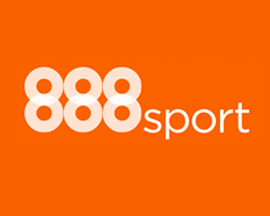 Signup at 888sport using promo '10FREE' and bet £10 on anything you want and you'll get £30 in free bets - and a bonus £10 free bet to use on Watford v Spurs. 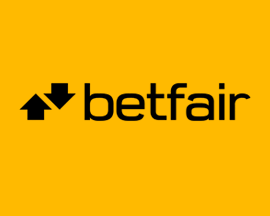 Signup as a new customer at Betfair today and you'll get the boosted the price of 33/1 on Spurs beating Watford. Plus, also claim up to £100 in free bets! New Customers can get Spurs at an enhanced 33/1 to beat Watford. Max Stake £1. Winnings paid in free bets, valid for 7 days, only deposits with cards/Paypal count. Exchange and multiple bets excluded. T&C’s Apply. 18+|Gamble Aware. 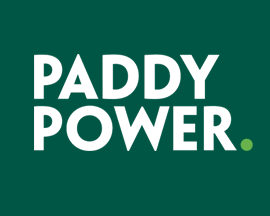 Signup as a new customer at PaddyPower today using the promo code 'YFBCAN' and you'll get the boosted price of 33/1 on Spurs beating Watford. Signup with PaddyPower today and bet £20 on Watford v Spurs and if you don't win your bet, they'll refund your original £20 stake - in cash! Watford host Spurs at Vicarage Road in what is set to be the most anticipated fixture of Sunday’s Premier League action due to the positions both teams occupy in the table. While neither team has lost a match so far this season, in fact both teams have a 100% winning record, online bookmakers odds suggest Spurs are the slight favourites to win. This may have something to do with the fact that they've not lost to Watford since 1994 and that out of the last 8 matches, only 1 has ended in a draw, with Spurs winning the other 7. Watford may have had a strong start to the Premier League season, but Spurs are in scintillating form as demonstrated by their 3-0 win at Old Trafford on Monday night. Roberto Pereyra’s goals may have helped Watford to their three wins out of three so far this season, but it will be a tough ask to beat a club of Spurs’s capability. In the lead up to Sunday’s match, we've taken a look at both team’s form, player injuries and which bookmakers offer the best odds for those betting on Watford v Spurs. Watford have had a cracking start to their 2018-19 Premier League campaign, thanks to former Juventus midfielder Roberto Pereyra’s goals, and Gracia will be hoping that they can continue their winning run against Spurs on Sunday. Having narrowly missed out on relegation in 2016-17, Watford had a much better end to last season, finishing in 14th place, and could be the surprise team of the 2018-19 season. The Hornets come into the Spurs match sitting in 4th place having won their first 3 matches against Brighton, Burnley and Crystal Palace. They’ve done well against so called lesser teams, but Gracia’s men will probably find Spurs hard to beat, which could put them on the back foot before playing Man Utd in their next fixture. Unfortunately Watford have quite a list of injured players to contend with, as Britos, Wilmot, Deulofeu, Cleverley, Chalobah, Okaka and Kaboul are all set to miss the Spurs match. There’s also the added pressure of an additional midweek fixture as they played Reading in the Carabao Cup at the Madejski Stadium on Wednesday evening beating them 2-0. The Hornets may not have the track record against Spurs, and bookmakers offer them as the underdogs for this clash, but Watford have delivered quite a few surprises already this season. If Watford pull off a win on Sunday, it might just be their biggest surprise of the season so far! Spurs are having a fantastic start to the 2018-19 Premier League season, having won all 3 of the matches so far, and are currently sitting in 2nd place on the league table. A 2-1 victory against Newcastle in their opening match was followed up by a 3-1 win over Fulham, and then an epic 3-0 win away to Man Utd in their last outing. Lucas Moura was on top form, bagging 2 goals in Monday nights fixture at Old Trafford, and Mauricio Pochettino will be confident of the team doing well against Watford on Sunday. Spurs face Liverpool in their next fixture, and given they're both joint top of the table, taking all 3 points from Watford would put them in a stronger position before playing Klopp's men. Luckily Mauricio Pochettino has a less challenging run of matches after the Liverpool match with fixtures against Brighton, Huddersfield and Cardiff coming up. There are a few injury concerns in the Spurs camp, but nothing that should cause any major headaches for Pochettino ahead of travelling to Vicarage Road. Erik Lamela is missing after suffering a hamstring injury in the warm up at Old Trafford on Monday evening, while Janssen, Wanyama and Foyth are all set to miss the match. Bookmakers offer Spurs as favourites to win, probably as Watford haven’t beaten them in any competition since their 3-2 victory in the League Cup back in October 1994. Watford and Spurs have played each other a total of 45 times with Watford's record quite poor having won just 7 times, drawing 9 matches and losing to Spurs on 29 occasions. The last Premier League fixture between these two sides occurred on the 30th of April in 2018 when the match ended 2-0 to Spurs thanks to goals by Dele Alli and Harry Kane. The last 6 Premier League matches involving both teams have resulted in 5 victories for Spurs, 0 wins for Watford, and 1 of the fixtures finishing in a stalemate. The last time Watford played Spurs at home at Vicarage Road was when they met in the Premier League on the 2nd of December in 2017 with the match ending in a 1-1 draw. The biggest win that Watford have ever had over Spurs was a League Division One match on the 11th of May in 1985 when they won 5-1 at White Hart Lane. The highest score that Spurs have beaten Watford by in the Premier League era occurred just last year on the 8th of April when they beat them 4-0 at home. Watford haven't actually beaten Spurs since 1994, when they won 3-2 in a League Cup match at White Hart Lane, so this will be an interesting match given both teams' fine form of late. Looking at the last 6 fixtures that Watford have played in all competitions, they've won 5, drawn 1 and lost 0 scoring a total of 11 goals (1.83 goals per game) and conceding just 4 goals. Spurs's record over their last 6 matches in all competitions is won 4, drawn 1 and lost 1. They've scored more than Watford, 12 in total (2 goals per game) and also conceded more (8). Leicester v Liverpool > Best odds, betting offers & price boosts!